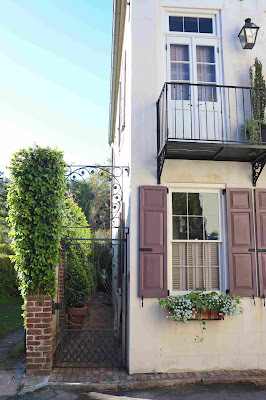 It has been the most beautiful weekend in Charleston. My college golf teammates are here, and we are exploring every part of the city we can. 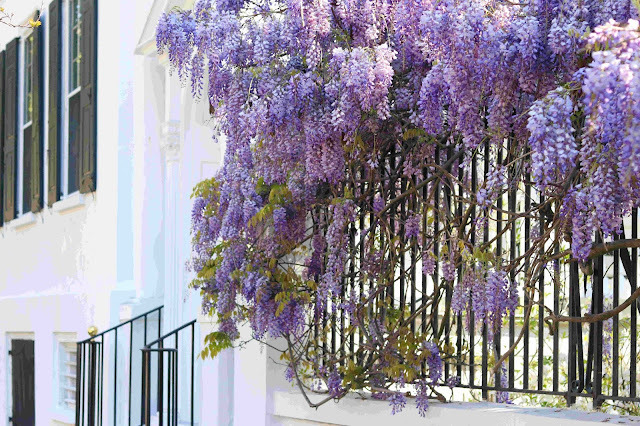 This time of year might be my absolute favorite for walking around the city. 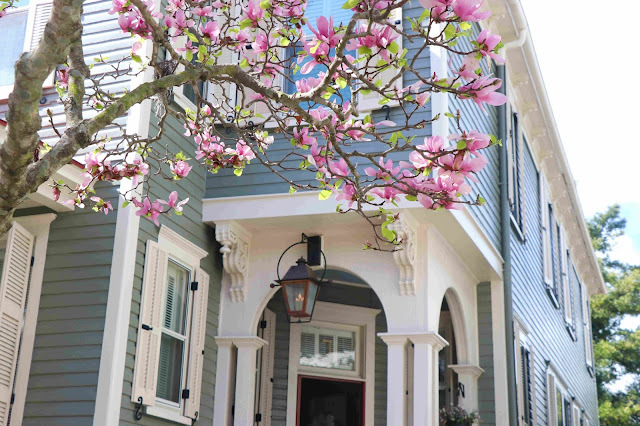 It's something about how the pastel homes and colorful blooms go together - I just love it! 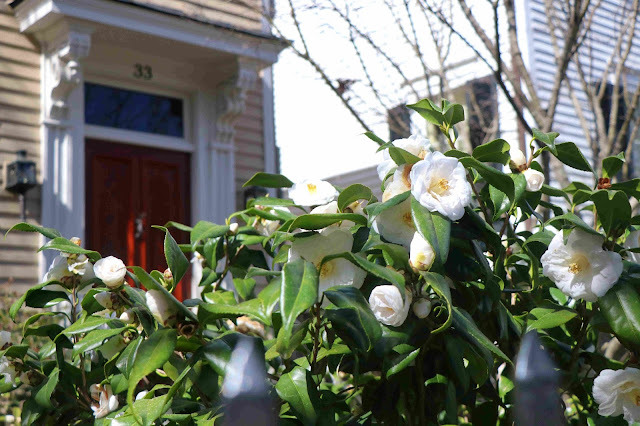 Last month, I shared some of my favorite flowers around the city, and today is all about my must-see homes. They aren't just the backdrop for Charleston photos, but they're all so unique and pretty that they deserve to be front and center! 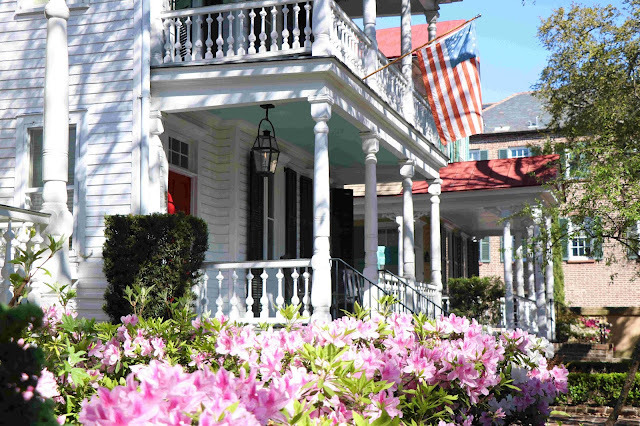 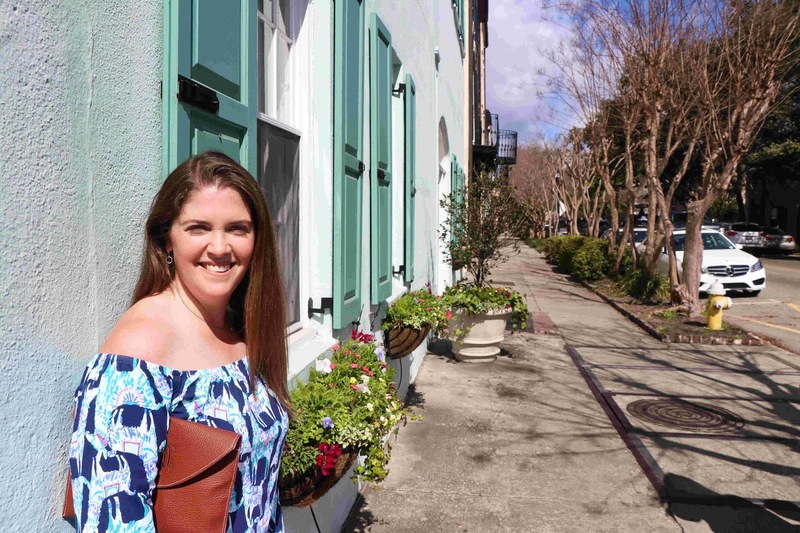 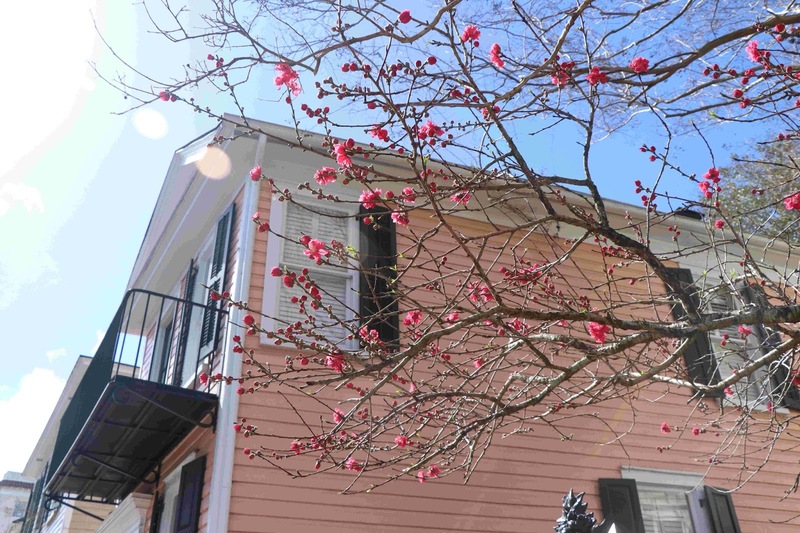 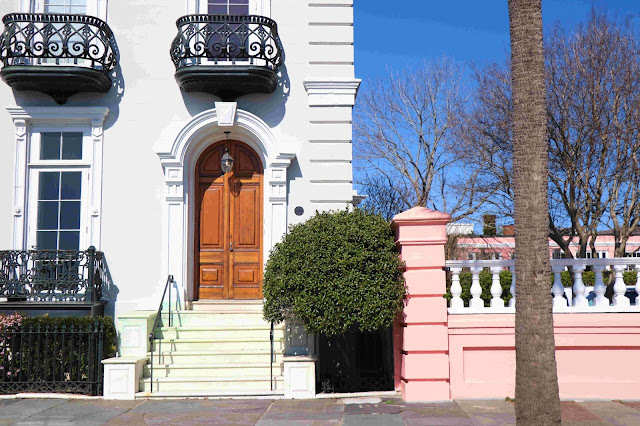 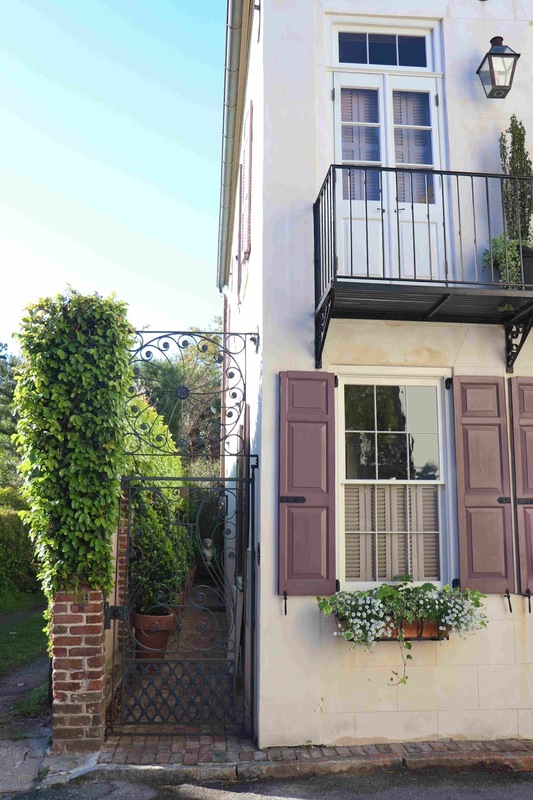 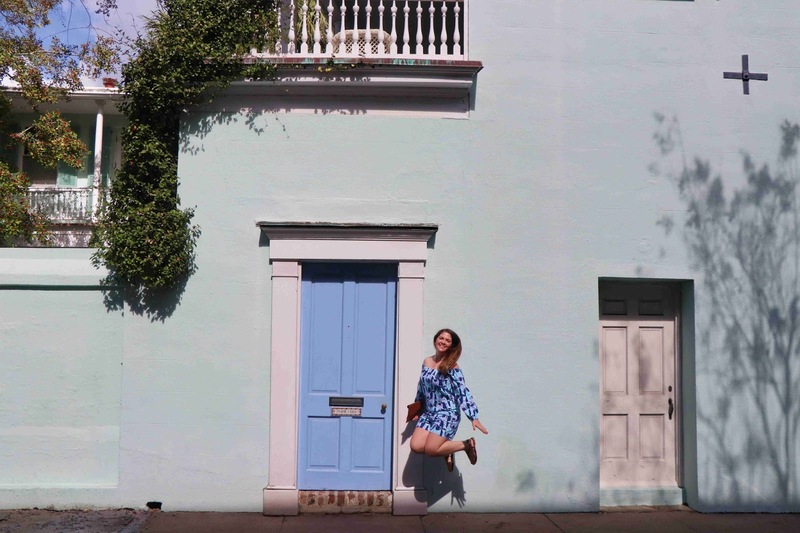 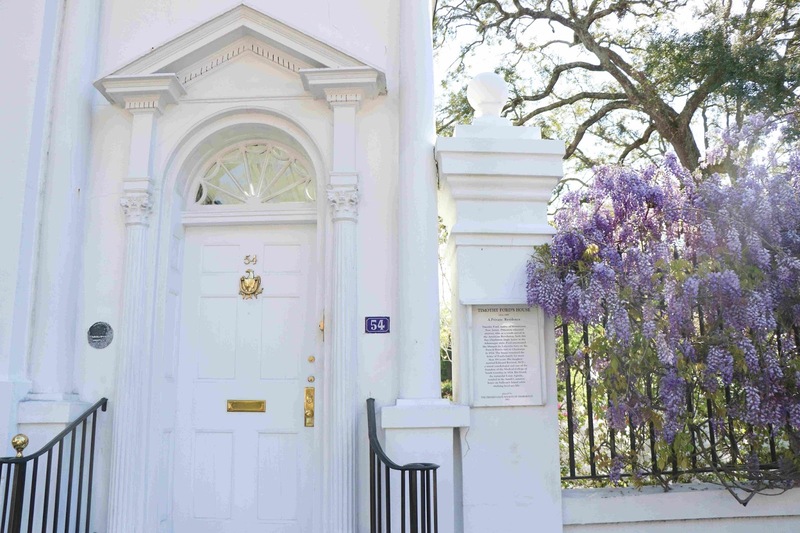 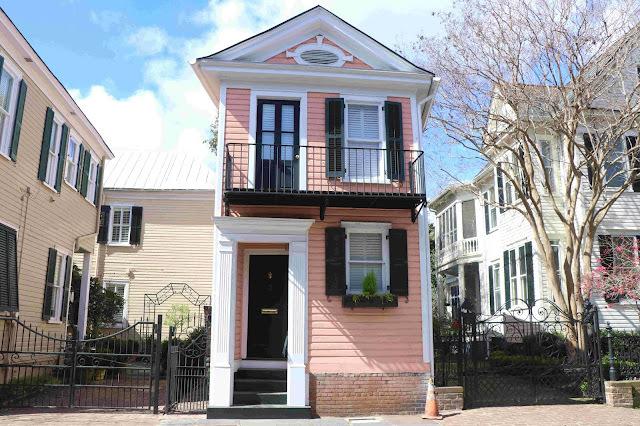 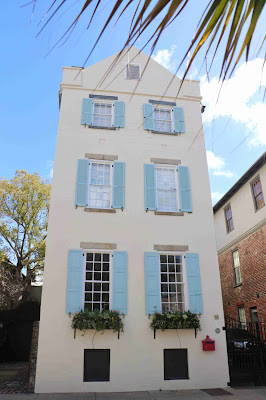 Charleston seriously has everything: brick homes and walls, iron gates, beautiful wooden doors, historical gas lanterns, and every paint color of the rainbow! 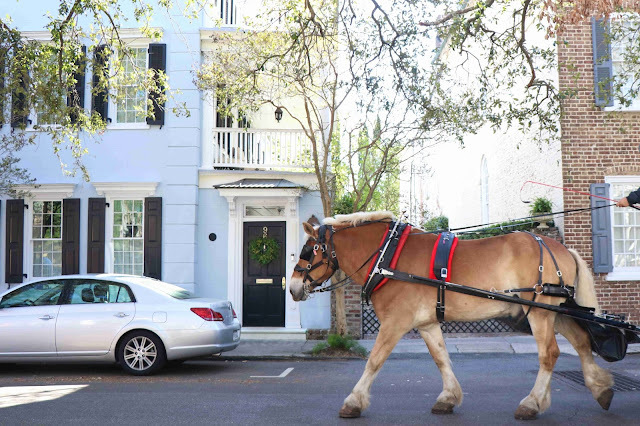 And where else can you get photo-bombed by a horse-drawn carriage?! These doors are amazing! 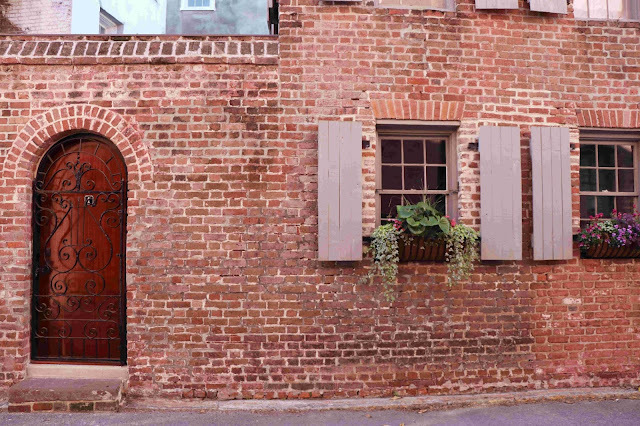 I can't wait to explore this city when we move back to that side of the country.